Have you ever thought about extending your living space into your loft? Many people have rated us as one of the best companies for loft conversions Southampton has to offer, and our checkatrade ratings can back this up. Entrust your vision to the right company and call us on 02380 243336 to kick start your loft conversion journey today. Our loft conversions in Southampton are a fantastic option for those looking to extend their living space, as they are often a cheaper alternative to moving and can add value to your home. While you may not see it right now, your loft is a treasure chest of possibility, so contact our team for a free consultation today. What are the different Southampton loft conversions we offer? We have carried out many different types of loft conversions in Southampton. While some lofts only require a little modification, others require more work in order to create the extra room and height. You can read more about the different Southampton loft conversions we carry out below. A dormer loft conversion is one of the most common types of conversion. Usually consisting of one large or 2 small extensions within the roof dimensions, they are an excellent way to create additional floor space and headroom – which is great if you would like the new floor in your property to consist of more than one room. For many cases, planning permission isn’t required, although we recommend you check with your local planning department. If you already have the required space in your loft –perhaps for one large bedroom- then in addition to carrying out all the necessary work to strict rules and regulations, our loft conversions Southampton team can install a roof light or Velux window to make the room fill with natural light. These types of conversions don’t usually require planning permission, but it’s always best to check. Hip to gable loft conversions in Southampton are slightly more complex but work well for those with hip roofs. The task usually involves transforming the roof into a gable roof, reducing it from 4 slanted sides to 2, therefore increasing the head and foot space in your loft. How do we go about converting lofts for our clients? 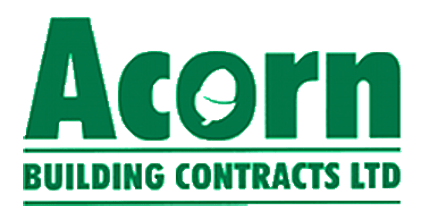 At Acorn Building Contracts, we’re all about a start to finish service, which ensures that our clients are well looked after right from the initial enquiry stage. At every point of our loft conversions Southampton building process, we make sure our clients are well informed and confident in the work that we’re carrying out on their property. Find out more about each stage of our process below. We invite all of our prospect clients for a consultation to find out what they need from our Southampton loft conversions team. We’ll be able to recommend the best loft conversion for you and arrange for an architect or building surveyor to assess whether a loft conversion is possible for your property. Once we get the go ahead from the architect or surveyor, we can get to work planning your loft conversion, supplying you with all the suggested drawings so you can choose the design that best matches your vision. Once we know the extent of the work that we’re carrying out, we’ll be able supply you with a competitive quotation that sits within your budget. Once we have agreed on a price, we’ll set a date and time to commence the work which is convenient for you. Some loft conversions Southampton lend themselves to summertime when there’s less likelihood of rain. From start to finish our skilled and experienced tradesmen will carry out the work to a superior level only capable of our loft conversions in Southampton team. We will happily work with other parties including interior designers so you end up with a loft conversion that completely matches your vision. We aim to sign off all of our loft conversions Southampton within the date specified to the client at the start of the project. All of the work that we carry out will be completed in line with strict building and health and safety regulations, which means once we’ve finished our Southampton loft conversions, we can supply our clients with all the relevant building certificates. What makes loft conversions the best choice? Loft conversions are commonly seen in towns and cities where each property is given very little outside space. Loft conversions in Southampton are far quicker to install than extensions, which means they cause less disruption to your everyday life, and because most of the time they don’t require planning permission, the whole process can happen much more quickly. Often cheaper than extensions, they can add value to your house without going above the ceiling price, so you can often get your money back and more at a later stage. As members of the National Federation of Builders and The Construction Confederation, we are well placed to provide the very best loft conversions Southampton has seen. We have also been approved by the Southampton Trading Standards County Council’s Buy with Confidence scheme, so you can be certain that you will always receive a first class service from Acorn Building Contracts. All the work that we carry out is completed to the highest quality by our trained and skilled tradesmen and all of our building contracts are closely monitored by a project manager to ensure every job meets our standards. 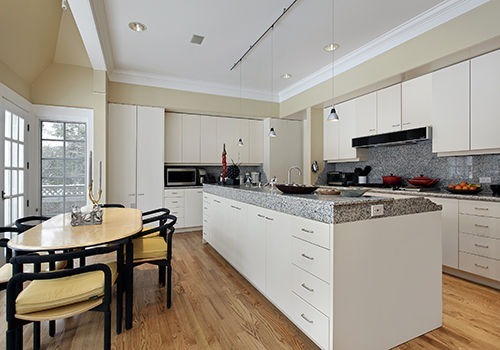 Take a look at our gallery to see some of our previous projects. If you think we sound like the best company for loft conversions Southampton has to offer, don’t hesitate to contact us today.